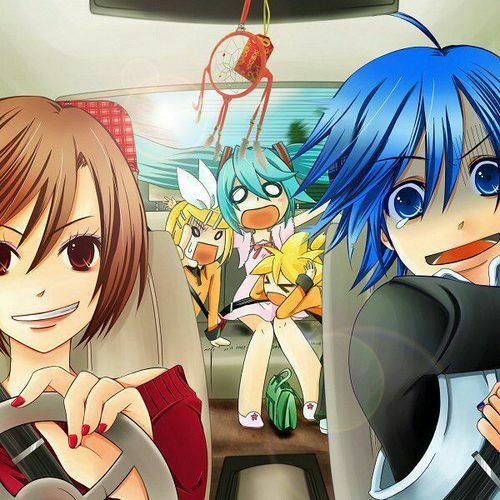 We are a group of people wanting to do song covers and comic dubs of the vocaloids. We voice different vocaloids but we also do a few Sonic covers. We have a youtube channel called the Mobiloids. We're not sure how long this project will be but we hope if can last for a long while! We love making friends and we want to have as many people on board with the project. We're a group of people that just like to sing so if you like to sing then that's awesome! We'll be doing song covers. We're also going to be doing comic dubs and a few other unrelated stuff. We don't have a time frame at all, but we are going to be trying to make covers for as long as we can. We do require that you either have a discord or Skype so that we can contact you easily. We also have an email if you have questions about the group itself. If you want to be out of the group chat we made please let me know, but I do recommend that you keep in touch with me so that I don't have to keep looking for you. Other than that, we would love it if you join the group and just have fun! Don't worry about being serious about the project. It's only for fun after all. If you want to do a song as a solo, then you are free to go ahead and solo the song. Just send it to me or someone in the group who can edit it into the song and we can post the video on the YouTube page. If you have questions please be sure to ask questions through pm. Remember, just have fun! 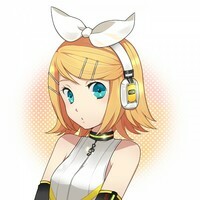 Rin is the partner to Len Kagamine and does solo and duets with the other vocaloids. 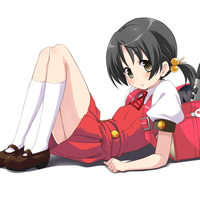 For this role, you would only be used a back up to our Rin we have now, but we'll be happy to have you with us. She's a bit snobish but also childish. "Leeeen! Stop being a baka!" 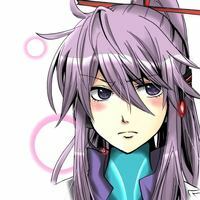 Gakupo will be featured in one of our lead roles for our vocaloids. You have to be serious when needed but also perverted towards girls, espically Gumi. Gakupo is childish and immature. He's a more deeper voice tone, if you want an example, I suggest looking up Maddness of the Duke of Venomania. (Teasing Gumi) "I didn't know you're so cold hearted, Gumi! But that's ok, you're still my favorite." (To Kaito, and Angry) "Tch, you're good at making people angry, aren't ya?" 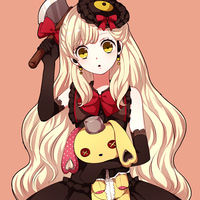 Mayu is.. well a 14 year old yandere that acts cute and looks cute but carries an axe in her pocket for safe keeping. She litterally grips onto her little stuff bunny like she's choking it while she sings-cause there's a mic in the bunny for some reason. She's a bit... protective when it comes to other girls and her senpai. If you want help looking for a voice reference, the song Elsa-Maria could help you out with what she sounds like. I would say, pretend to be adorable at first then go yandere. If you want a good song example for her voice rang, look up A lie and A stuffed animal. "Hehehe, of course, Senpai. I'll do aaaaannything for you~"
"Are you stalking my senpai? If I were you, I would leave and forget about him before something... tragic happens to your frail little body." Teto is a teenage girl who looks shy and reserved at first, but when push goes to shove, she gets irritated and frustrated. Teto has a small crush on Kaito but is too afraid to actually admit to it. For voice refrence try looking up Confront! You Look So Cool! Sung by Teto. 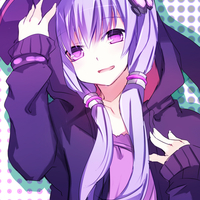 (Sarcastically to Gakupo; irritated) "Great job Gakupo! You've found another one for your perverted mind to collect." 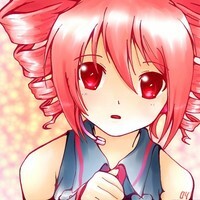 (Nervous of Miku) "W-wha? U-use my twin drills? I-I don't understand!" (Calm and Caring) "If you're afraid, then don't worry about it too much, ok? We got this in the bag!" (Embarrassed and Angry) "W-where did you find that!? Put that back!!" A girl who thinks she's high and mighty and is sassy to the people she meets, however, even she has her down sides. She is a girl who wants it all and wants to eliminate her opponents at any means. But she's also kind and caring when she wants to be. "Hey, teacher! I found another idiot who's shown their true colors!~"
"What's wrong? Did my beauty capture your eyes?" She's most known for her song Don't Go. Yuki is Hiyama's student and is nine years old. 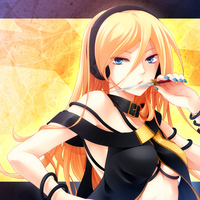 She likes to compare herself old enough to be a great vocaloid as everyone else. She compares her height to ten big apples and weighs to eighty six apples. She's kind and caring and loves to be around her teacher. "Sensei, please let me sing with you and your band!" "I'm not that short! I'm as tall as ten bbbiiiiiiiiiig apples!" Neru is your typical tsundere. 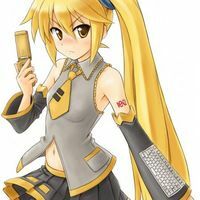 She has a thing for Len but refuses to tell anybody or show her feelings, Think of her like Osana from Yandere Simulator. "What are you looking at, baka?" "W-what? D-don't look at me like that! Hmph!" 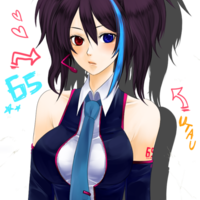 Her voice is more pitchy than the other vocaloids, but she's very energetic and loves to sing for her fans. She has a rivalry against Miku and wants to beat her as the best singer. She's very competitive in what she does, but she does what she can for her fans. "Come on everybody! Let me here you scream!" "One day, I will be better than Miku, Just you wait!" 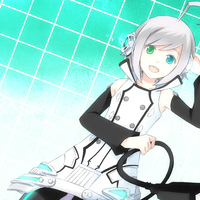 Piko is appeared off as shy but very confident. he and Miki are in a group together of their own band and he gives Miki as much confidence and support as he could, His voice sounds like Len just slightly older. "Well, I guess it's show time! Let's do our best out there, Miki." "Alright, I think I'm ready now." This character is gender neutral so I wouldn't find it hard to believe that nobody can switch back and forth in vocals as a boy and a girl. But for this one you have to because of her two voice banks. She's a socially awkward but isn't afraid to start conversations. 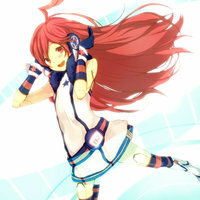 She loves being around Miku and Haku and enjoys Miku singing. "Oh. Thank you, Miku. I appreciate your kindness." "I love hearing you sing. It makes me happy to hear you."